The best part of Superbowl 48 was the Cheerios commercial. (And Bruno Mars & The Red Hot Chili Peppers) But mostly the Cheerios commercial. For interracial families all across the country tuning in to the game, there was a sense that we had finally been acknowledged and recognized. It was like someone just hopped up on a stage and said "hey there, we realize that this is what most families look like these days. And we just wanted to acknowledge your presence. Stay beautiful." It was a very empowering and tearful moment. Especially if, like me, you took the time to send Cheerios a quick thank you and they sent this back in reply. I responded by telling them we would be getting it blown up and hung over the mantle. I think they thought I was kidding. They clearly don't know me very well. Which is how I came to find myself perusing the cereal section of my supermarket at 10:00 p.m. that night hunting for a box of cheerios for a tasty recipe I've had swirling around in my head. Originally I intended to use Total, but then Cheerios released that adorable commercial, and I wanted to represent for all of the #TeamCheerios families out there. 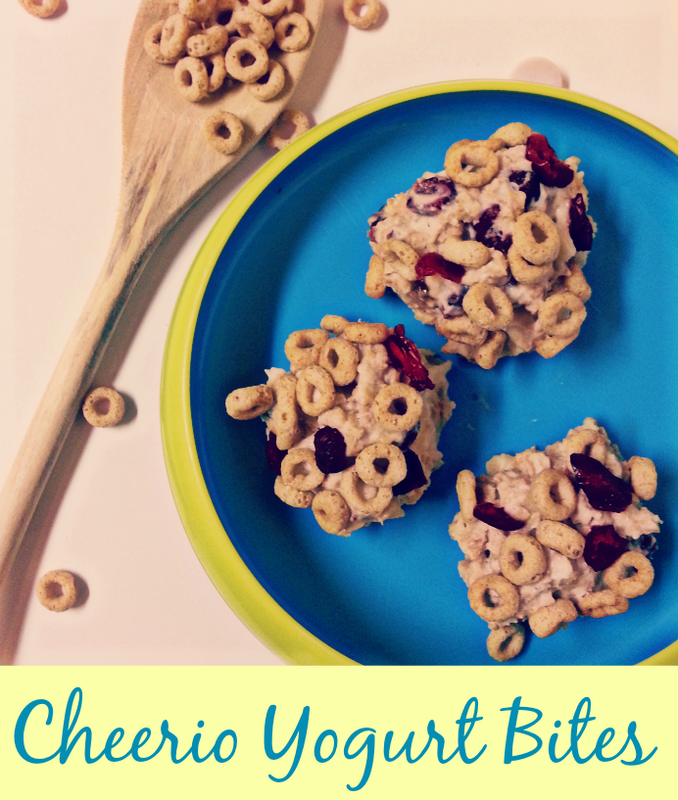 And so this is what I came up with.Cheerios Yogurt Bites Easy. Delicious. Healthy And the perfect snack for toddlers. Peel and cut bananas into half an inch slices. Crush cereal. Pour half of yogurt into separate bowl. Pour crushed cereal, bananas, cranberries and almonds into the bowl with the yogurt. Cover with remaining yogurt. Stir thoroughly. Shape mixture into 2-3 inch squares or balls and place on a tray covered in wax paper. Allow them to sit in the freezer for up to 30 minutes. Enjoy! So what do you think? 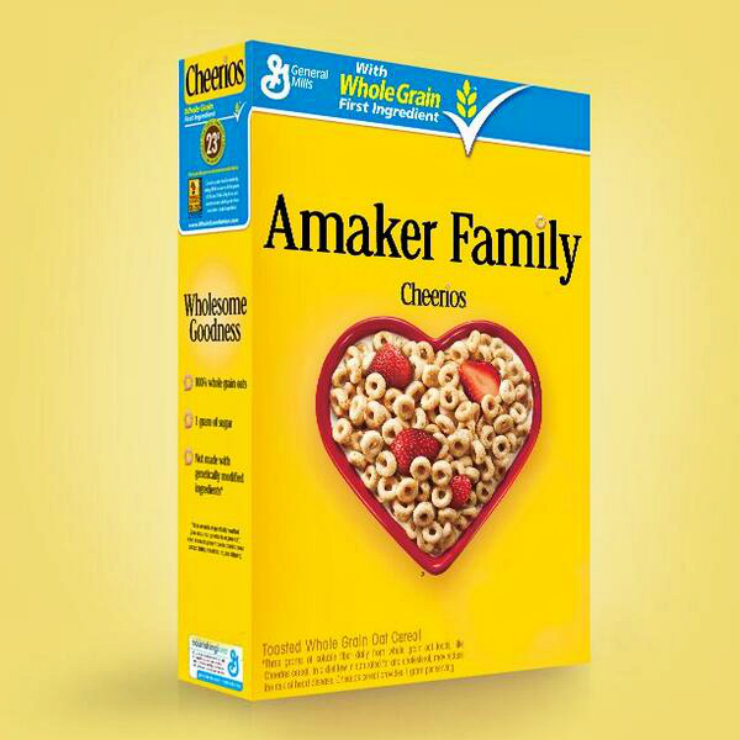 Are you a cheerios lover? Will you be giving these a go? P.S. Like my new look? Stay tuned, I'll spill the dets on who did this lovely design for me. OOh. those look yummy!! :) Stopping by from SITS. Thank you. And thanks for stopping by!